Where oh where has my baby gone? 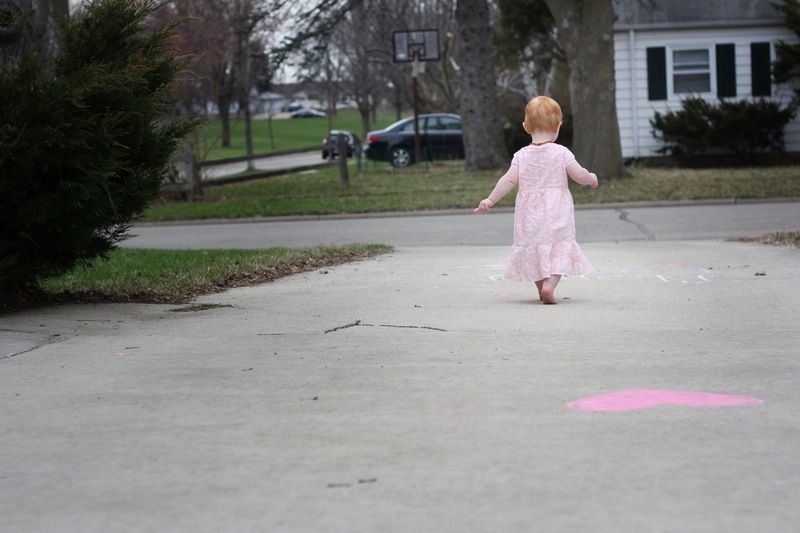 Who is this barefoot child coloring on the driveway, hunting for Easter eggs, and stuffing her face with ham? She walked almost the entire way to the park today, in her cowboy boots. I was impressed. My muscles ache from keeping up with her. Our weekend was full with family and love and she(and we) had the best time. Haha, she looks like she’s off on a mission!